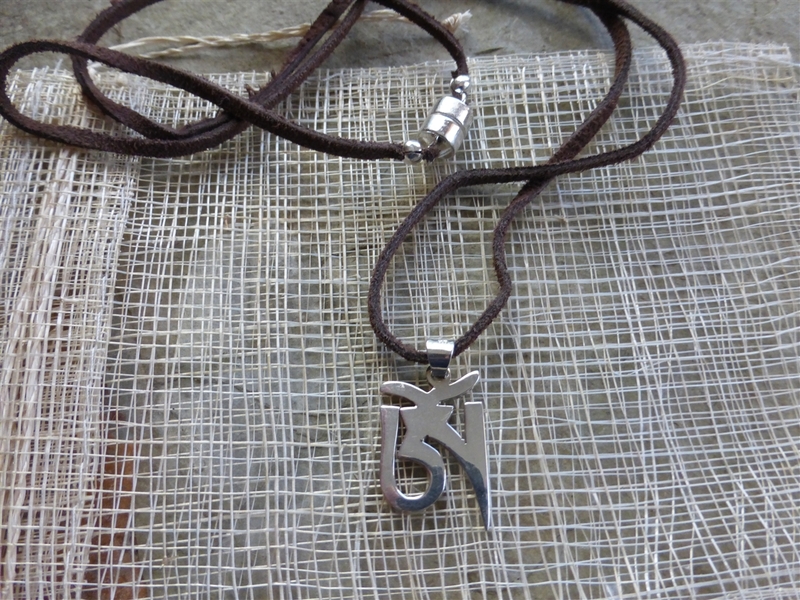 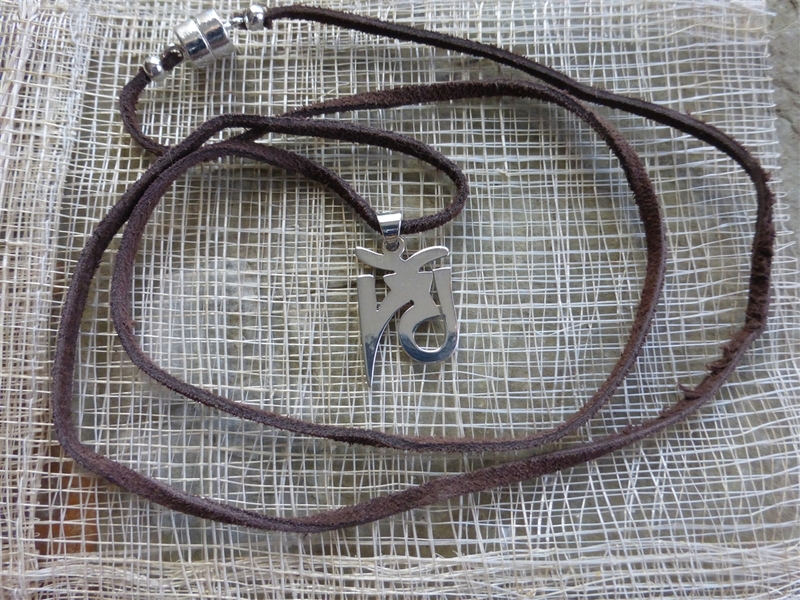 This beautiful handmade 1" silver Tibetan symbol comes with a brown leather necklace to include a decorative cylindrical silver magnetic clasp and is 13" in length. 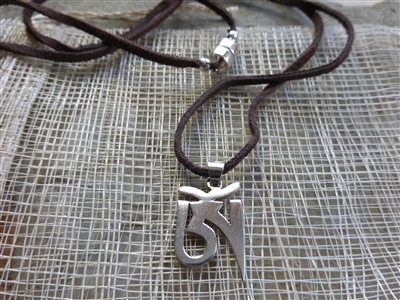 OM" is the reflection of the absolute reality, it is said to be "Adi Anadi", without beginning or the end and embracing all that exists. This is a Fair trade, gender-neutral piece handmade in Nepal.